Let Unlimited Entertainment put you and your guests in the mood to celebrate this special occasion with the right mix of music and entertainment! During this time the MC will ask everyone to remain at their seats as the Toast will begin shortly. Once all of your guests are seated, the MC will call up those selected to give the important speeches and provide them with a microphone. Once dinner is ready to be served, the MC will inform everyone in attendance and have them find their seats. Based on your music requests and our experience, we will create a playlist the keeps the atmosphere at the appropriate level so that you and yours guests can enjoy your meals. Once everyone has finished their meals, our DJ and MC will work as a team to get the dance floor going again with no interruptions. 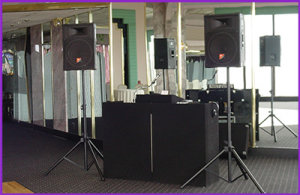 The MC will promote the activity taking place on the dance floor while the DJ will keep the music alive and fresh. 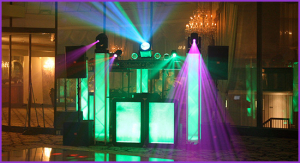 We strive to make your night perfect and we know that a good time on the dance floor for you and your guests is a major factor in making that happen! The MC will inform everyone of the event taking place and coach the special couple through it while the DJ plays the song that has been selected. If you wish to use it as a photo opportunity for your guests to capture this special moment, the MC will accommodate you in any fashion you seek. Once this special moment is complete, the MC will inform your guests about the desserts and coffee that are available. Once all of the formalities are finished and everyone has enjoyed their coffee & cake, what better way to end the night by dancing the night away! We love finishing the night off with a packed dance floor and would enjoy nothing more than playing the best kind of music for your Engagement Party to remind everyone of how much fun your party was!